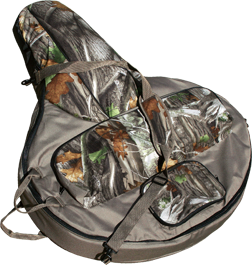 Soft side case offers easy access to your hunting or shooting accessories. Additional compartments for a quiver, accessory case and more. Front end assembly: 16″ stock width. Pockets: 24″ x 8″ and 10″ x 7″.